The life of a Princess of Equestria is always a stressful one, whether you are an experienced one or not. Sometimes you need to get away from it all. That is exactly what Twilight and Cadence thought when they decided to take a trip to the Hoofwian Islands just the two of them. The vacation is suppose to be about having fun, but deep down one of them wants a bit more than that. Their only concern, though, is how the other will react to this. After a tragic incident occurs Fluttershy disappears from sight. As the days roll by her absence starts to worry ponies, especially her best friends. After a quick get together it is decided that Rainbow Dash should be the one to figure out what's going on. The problem is she doesn't believe she'll be able to help, especially if her being caring and compassionate is required. Scootaloo has never told anypony that she is an orphan, that her parents one day decided not to come home. She has been on her own since she was very little. She has learned to fend for herself, care for herself, and doesn't want help from anypony, including her best friends. It isn't until a certain purple unicorn learns the truth and takes her into her home that Scootaloo realizes she needed help from somepony a long time ago. Please do not ask if you can continue this story. The answer will be no. 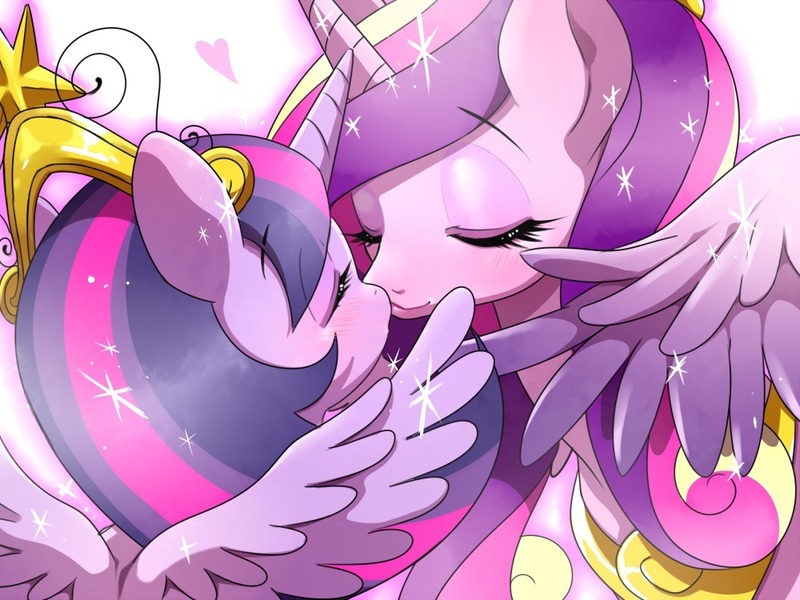 Twilight is Princess Luna's one and only friend and everypony knows it. Neither of them ever thought that they would be anything more than friends. However, after just one night together that is no longer true and together the two of them embark on journey of secrets, lies, trials, friendship, and true love. Mayhem has finally proposed to Rainbow Dash and the two of them could not be any happier. With the help of their friends and family the plan another spectacular Royal Wedding and, unlike the first Royal Wedding, it goes off with out any problems. Later on after the two of them have been married for a while they receive a surprise that only increases their love for one another. What was just a typical evening at the local pub in Canterlot for Mayhem and Shinning armor turns into a drunken adventure at the castle and in Ponyville. Nobody knows what happened but now the two of them are on a comical rampage that can only be fueled by booze and booze alone. Mayhem thinks he may be losing it, his alternate personality is getting the better of him. Or is it a personality at all? Scootaloo is alone, that is until Rainbow Dash, her idol, does the most charitable act anypony has ever seen her do. Scootaloo's life changes dramatically from this point on. The first story I wrote in what has become a continuing series involving all the usual ponies combined with three that I made up on my own. This story tells of Rainbow Dash meeting who is soon to become the love of her life.